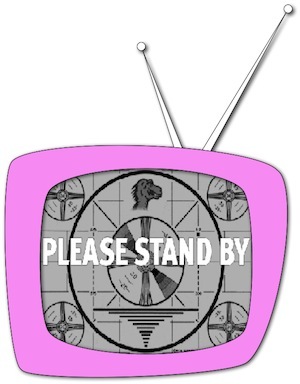 Due to technical difficulties, we are unable to bring you our regularly scheduled program. We apologize for the inconvenience, but we assure you that we are hard at work to bring you an exciting new serial that we know you’re going to love: The Adventures of Space Repairman! In the meantime, stay tuned for next week’s regular installment of They Came from New Jersey! over most of these stations. This entry was posted in Station Identification. Bookmark the permalink.